Nova Custom Printing/Nova Disc has been selected for the 2014 Best of Manhattan Award in the T Shirt Screen Printing Services category by the Manhattan Award Program. Offering B2B custom t shirt printing since 1995, Nova happily accepts the award and thanks the Manhattan Award Program for the recognition. Each year, the Manhattan Award Program identifies companies that they believe have achieved exceptional marketing success in their local community and business category. These are local companies that enhance the positive image of small business through service to their customers and the community. These exceptional companies help make the Manhattan area a great place to live, work and play. 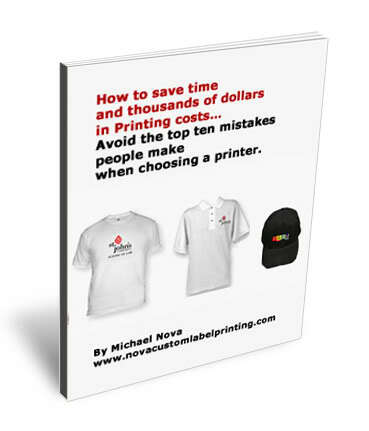 As director of Nova Custom Printing / Nova Disc, Michael Nova has developed a proven track record of overseeing multiple businesses simultaneously. When forming Nova Music Productions, Inc., Michael was featured in the New York Times as a pioneer in offering multiple services to independent artists in the music industry. Because of the popularity of Nova Music, Michael created divisions of the corporation that would focus on offering specific services to businesses exclusively. Over the years, Nova Custom Printing / Nova Disc’s clients grew to include NASA, MTV, BET Networks, American Express, Google, L’Oreal Cosmetics, Halston, Diesel, Steinway Pianos, Palm Pictures, Saks Fifth Avenue, The United Way, and JP Morgan Chase Bank, among many others. The Manhattan Award Program was established to recognize the best of local businesses in the community. The organization works exclusively with local business owners, trade groups, professional associations and other business advertising and marketing groups. Their mission is to recognize the small business community’s contributions to the U.S. economy.